I wanted to explore the father/son relationship for my MA dissertation. My MA was in Creative Writing and Critical Thinking, and thus the dissertation required two parts: a critical essay and a creative piece. For the critical essay I did a psychoanalysis read for the effect of the father on the death drive of the son. I chose two prose to compare: “The Kite Runner” for Khaled Hosseini where there is a dominant father figure, and “When We Were Orphans” for Kazuo Ishiguro where the father is absent. 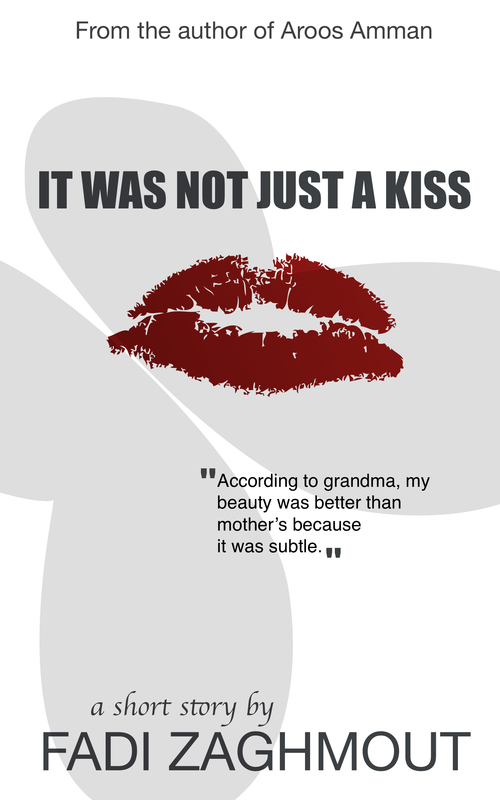 And for the creative piece, I reflected the findings of my critical read of a father/son relationships across the gender access to develop this short story “It Was Not Just A Kiss”. The critical work is pretty long (around 10,000 words). I had to read lots of theoretical work. For a father/son relationship, I found no better place to start than exploring the notion of the castration complex and understand the formation of the super ego and the ego ideal. I stumbled upon many interesting findings that would be hard to sum up here in this article. I’d say the main conclusion was reading the castration complex in terms gender imposition, and applying Anna Freud’s theories of the ego’s defence mechanisms against aggression. If we consider gender imposition at a very young age a form of aggression, then that explains the castration anxiety that arises. Aggression, when comes with an authoritative figure, it gets internalized in the super ego and becomes self-inflicted. It continuously fuels the rise of the anxiety levels in the psyche, especially when the super ego is so strong (influenced by a dominant father figure as in the case of Amir in The Kite Runner). On the other hand, and reading Freud, I understood that the psyche adheres naturally to the Pleasure Principle in order to lower the incremental excitations. That usually happens when the sexual energy is discharged, or when we are hungry and eat. It is the natural feeling of pleasure when a need is met. But what happens when the excitations of the psyche reaches to a very high level that can’t be handled by the normal psyche mechanism of the Pleasure Principle? I could read that the psyche then resides to painful measurements in order to sustain its stability. That’s for me what explained Freud’s death drive. It is the turning point where the human behaviour turns destructive. It is the point that Freud calls “Beyond the Pleasure Principle”. In his essay “Beyond the Pleasure Principle”, Freud only branches to assume a different set of drives when he fails to identify a compulsion to repeat among the sexual drives. I don’t think that he looked clear enough though. I could read a compulsion to repeat in the sexual act of gender assertion. According to Judith Butler’s theory of Performativity, gender is the continuous stylisation of the body. It is a repetitive process that aims to please the ego ideal. The fact that I could read a compulsion to repeat in the sexual drives that have the same characteristics of the one Freud explains in his essay means that we can go back and assume only one set of drives; the sexual drives that turn destructive! Instead of an overly dominant father figure as in “The Kite Runner”, I portrayed an overly feminine mother in the short story. The daughter, like Amir, struggles to meet up with the gender identity of her ideal. Unlike Amir, where the values of a masculine society backs up the qualities of his dominant father, the daughter faces an ambivalence of emotions facing a society that loves and hates abundant femininity. In the story, I place the daughter in a situation that heightens her castration anxiety and leads her to fall into the madness of her death drive. Writing the short story after doing the critical research felt great. It was like having the blueprint to build the characters on. That is the essence of the MA that I did and the wisdom behind combining the creative and the critical into one complimentary course at Sussex University. When I arrived Dubai’s airport last monday, they asked for my original visa which wasn’t there in the airport. My brother had to drive all the way from Abo Dhabi to hand it in. In the meantime, waiting for more than 3 hours, I thought of checking out the kindle store. I decided publish “It Was Not a Kiss” on Amazon and see how it fairs. It is my first attempt to use the platform and thus I don’t think that I was very successful. A week later, 5 copies have been sold so far. I would say it has mainly to do with the lack of availability of the kindle story in the middle east where most of my audience live. If you find the notion of the story interesting, and wants to check it out, you can find it here: “A Short Story: It Was Not Just A Kiss“. and if you find the critical essay interesting and would like to read it, you can email me and I can send you the file. Next Post → @McDonaldsArabia: Why does Big Tasty have double the amount of fat in the UAE?